Our matchet mainly used in hewing sugarcane and also in cutting cornstalk, grass , heavy undergrowth and thick vegetation etc. used material of 65 metal-alloy steel 65 manganese steel, with real (43 ° hardness - 47 °) elastic outstanding advantages. 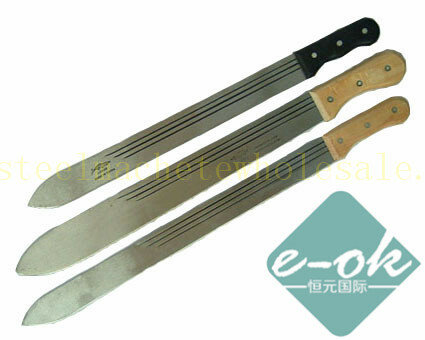 Steel Machete size:12" 16" 18" 20" 22"